The Finance Ministry hierarchy is flustered about the IMF’s $6.64 billion loan that will be provided to Pakistan during the next 36 months on a quarterly disbursement of $545 million each. The Federal Finance Minister Ishaq Dar, Secretary Finance Dr Waqar Ahmad and Secretary Economic Affairs Nargis Sethi seem over-exuberant about this loan. They view it as elixir to heal all fiscal maladies Nawaz Sharif’s clueless government is suffering–but the first tranche of $545 million which they are expecting in the next few weeks is a little over what Pakistan has already paid back to the IMF during the first half of FY 2013– i.e. $340 million. As per SBP the government is doomed to pay back over $3 billion to the IMF before the end of September 2015. This clearly means that half of the promised $6.64 billion loan that they receive from the IMF over the next three years will be used to pay off old debts. As the old debts are cleared the new debts emerge, twice as big. The Finance Ministry also expects in the next few months $1 billion from the World Bank as its President Dr Jim Yong Kim has recently approved it. The Asian Development Bank President Takehiko Nakao has given a nod for another $500 million loan to Pakistan. The big picture that shows here is, will the Nawaz Sharif government run country’s economy for the next two years on these loans put together as a little over $8 billion? This amount is not enough to fill even Nawaz Sharif’s own coffer–because he is such a politician that if you make him in-charge of the Sahara Desert it would run out of sand. Ishaq Daar is also over-optimistic about USAID to make some offer to Islamabad. Nawaz Sharif’s elder son Hussain Nawaz has recently approached the head of USAID Rajiv Shah–who studied with him at the London School of Economics in 1996, but Rajiv Shah is a staunch Hindu and is under the influence of Manmohan Singh,Shashi Tharoor and Salman Khursheed.39-year-old Shah is the highest ranking Indian-American in the Obama Administration. That said, any monetary offer to Pakistan will be India-tied. The Secretary Finance Dr Waqar is also naive about UK’s DfID headed by Justine Greening MP but the DfID Select Committee is headed by the Scottish Lib-Dem MP from Aberdeen, Malcolm Bruce, who is friends with Shashi Tharoor, Salman Khursheed and Sonia Gandhi‘s son-in-law Robert Vadra. He visited India for a week (25 September to 02 October 2010) –all expenses (£3,300) were paid by India’s Ministry for External Affairs. Malcolm Bruce informed the author (Ejaz Hussain) in March 2013 that DfID had given to Pakistan over £380 million in 2012, they will give Islamabad £422 million in 2013, £480 million in the year 2014 and over £500 million in 2015. This will make around $2 billion that Britain will give to Pakistan over the next two years. If we add this amount to $8 billion above–Pakistan will have $11 billion by end of 2015. Canada’s CIDA, Japan’s JICA, the Saudi regime, Qatari/Kuwaiti Ameers and UAE monarchs have promised to give under $2 billion (put together) over the next two years–but there are no guarantees. As regards the Foreign Exchange Reserves (FER)–Pakistan had a little over $11 billion in April this year (2013). When Ishaq Dar paid Rs 326 billion (of the total Rs 503 circular debt) on 29 June 2013–Pakistan’s FER were just over $5 billion. The figure of $5 billion will continue to pinch the Pakistani nation for the next five years–whether it was paid to the crony IPPs or the crony bankers. This is the figure that has purportedly disappeared from Pakistan’s FER. The SBP has also printed Rs 850 billion notes during the past few weeks. The Governor State Bank Yaseen Anwar, both Deputy Governors (Qazi Muqtadir and Arshad Wathra) and Secretary Finance Dr Waqar Ahmed are completely silent over this issue–what a Silence of the Lambs? The head of the International Monetary Fund’s (IMF) mission in Pakistan claimed on Friday that the ruling Pakistan Muslim League-Nawaz “unilaterally decided” to reduce the budget deficit – in open contradiction with Finance Minister Ishaq Dar’s claim that the caretaker government, in conjunction with the Fund, had agreed to a Rs200 billion tax levy. Speaking with The Express Tribune, IMF mission chief Jeffrey Franks said there had been dialogue about the possibility of measures to raise revenue. “In the end, in the absence of a programme with the IMF, the caretaker government chose not to implement any of the measures,” said Frank by telephone from Washington. Franks said the IMF accepted the caretaker government’s decision, adding that the PML-N government took measures to reduce the gap between national income and expenditures. 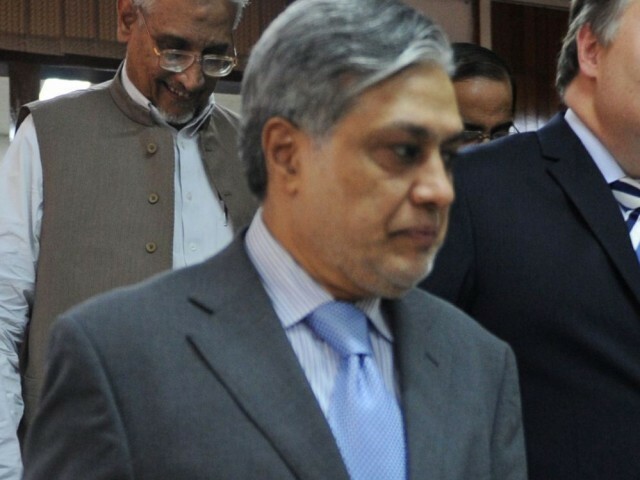 In the last cabinet meeting, the finance minister had admitted that an estimated Rs200 billion in taxes that his government levied was one of the main reasons for skyrocketing inflation. But he blamed the caretaker government for the move, while providing a summary of revenue-increasing measures suggested by the PML-N government. Dar said that after former president Asif Ali Zardari did not approve the measures, the PML-N government was bound to honour the commitment made to the IMF. Franks statement suggests that the government was trying to pass the buck to its predecessors, particularly as independent economists have criticised the government for levying indirect taxes in the budget for raising revenues instead of widening the tax net. They voiced fear that indirect taxes would fuel inflation – as can currently be witnessed. Analysts also doubt the credibility of Dar’s statement, arguing that if the caretaker government had finalised a decision, why would the PML-N government spend three weeks to finalise the programme? The IMF chief also appeared dissatisfied with the performance of the Federal Board of Revenue (FBR). “There has been some progress in the annual growth in revenue collection but it is far from adequate and more needs to be done to improve collection and tax administration,” said Franks. In six months, the FBR witnessed a 15% growth through the collection of Rs1.020 trillion in taxes — far below the required growth rate of 28% to hit the Rs2.475 trillion tax target. Franks also maintained that the IMF did not lower the Rs2.475 trillion tax target. “We deliberately pitched the projected collection at Rs2.345 trillion but the government should aim at its original target,” he said. He maintained that improvements in the areas of taxation and energy was a multi-stage process. “It is unrealistic to expect progress in just six months, as it will take a few years to fully implement reforms,” he explained. Franks said the IMF was neither soft nor hard on Pakistan. “There is a fine line between being too tough or not to being tough enough,” he said, adding that the programme required flexibility in order to take into account the country’s circumstances. He said the adjustments Pakistan is making have to be made with or without the IMF programme. To a question regarding the relaxation of a target of building foreign currency reserves to $2 billion by State Bank of Pakistan for the second quarter of the fiscal year, Franks said the IMF had to adjust the target after the first review as some of initial projections were not met. He said in the upcoming second review meeting of the programme, the IMF will consider if there is a need to review any targets again. Franks said there were no specific concerns about data manipulation, either of the fiscal deficit or economic growth. “We have no reason to doubt the data of Pakistan,” he stated. He said the IMF was offering technical assistance to improve the quality of data, adding that the quality of quarterly GDP numbers will gradually improve. Pakistan has refused to sell gold worth $2.7 billion, citing national security reasons, as the International Monetary Fund (IMF) pushes Islamabad to convert the precious metal into cash to build foreign currency reserves, revealed the global lender’s report on Friday. The report, prepared by IMF’s staff led by its Washington-based Mission Chief to Islamabad Jeffrey Franks, also spills the beans on the ‘$1.5 billion gift’ to Pakistan by ‘Saudi Arabia’ – the name Prime Minister Nawaz Sharif’s government has so far refused to officially share with parliament. 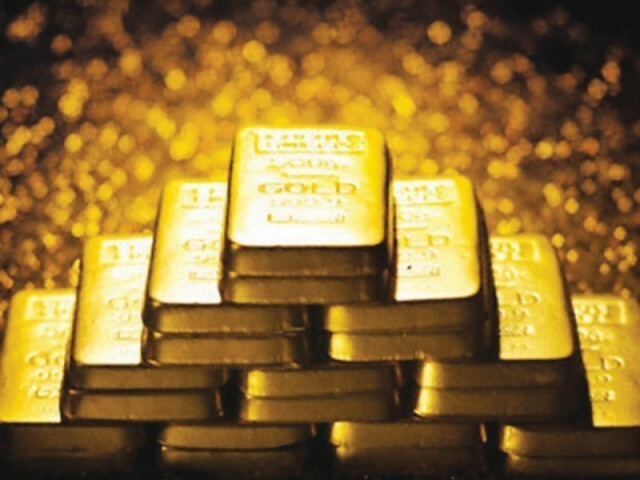 According to the report, the State Bank of Pakistan (SBP) holds over 2 million troy ounces of monetary gold, having $2.7 billion value at market rate. It is not counted in gross international reserves as it is not deemed to be liquid by the SBP, says the IMF. The IMF is pushing Pakistan to sell gold holdings at a time when other countries are buying the commodity as a strategic reserve. The IMF had even sold its surplus gold to India a couple of years ago. According to analysts, one reason behind the IMF’s insistence could be the country’s inability to build official foreign currency reserves despite being in the $6.7 billion IMF arrangement. While the IMF hinted in its report that the SBP was not aggressive in building foreign currency reserves, it disclosed that Pakistan’s central bank continued its efforts to build reserves by purchasing dollars from the market. The SBP purchased $575 million in the last few months till March 17, the report states. The SBP purchases may help stabilise the foreign currency reserves but is considered one of the reasons behind depreciation of the local currency against the US dollar. The rupee started appreciating only after the $1.5 billion grant from Saudi Arabia. While the federal government remains reluctant to officially disclose the name of the country that ‘gifted’ Pakistan $1.5 billion despite persistent demand of the opposition, the IMF report identifies it as Saudi Arabia. A “$750 million grant recently received from Saudi Arabia” will help the Pakistan government in reducing borrowings from the SBP for budget financing, said the IMF. “Reserve accumulation was also aided by an additional inflow of $750 million from Saudi Arabia,” according to Memorandum of Economic and Financial Policies (MEFP), which is attached with the report and is jointly prepared by Pakistan and the IMF. In a footnote to the MEFP, Pakistan told the IMF that it received an initial inflow of $750 million on February 19, indicating that it would receive more money. The IMF confirmed its recent forecast of 3.1 per cent growth this year, which was revised up from an earlier 2.8 per cent. “The overall economic situation in Pakistan is gradually improving,” said Jeffrey Franks. “That 3.1 per cent may still be a bit on the conservative side, so we see indicators of growth that are relatively strong considering the fiscal adjustment that has taken place,” he told reporters on a conference call. For the 2014-15 fiscal year, the IMF expected Pakistan’s growth to accelerate to around 3.7 per cent. The IMF report said the growth was boosted by a stronger manufacturing industry thanks to an easing of Pakistan’s chronic electricity shortages, despite weaknesses in agriculture. It also said that Prime Minister Nawaz Sharif’s government, despite its commitment to IMF-backed reforms, faced ‘strong’ political resistance to certain structural measures. Published in The Express Tribune, March 29th, 2014.